Slovakia will take in 200 Christian Syrian migrants instead of Muslims because of a lack of infrastructure – including a shortage of mosques in the small Eastern European state – its interior ministry told the BBC on Wednesday. Under a European Union relocation scheme to share the burden of thousands of Syrian migrants fleeing the civil war back home, member states will take in 40,000 new arrivals from Italy, Turkey and Greece. But Ivan Metik, an interior ministry spokesman, told the BBC that small Slovakia was “only a transit country” and not an attractive option for a long-term stay – particularly for Muslims. The spokesman denied that the move was discriminatory and said the decision to accommodate only Christian migrants was to safeguard community cohesion. Slovakia is not the only state seeking to give priority to Syrian refugees over other migrant groups pouring into Europe. 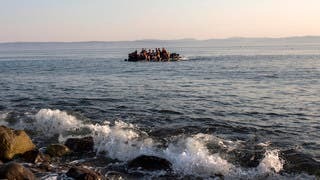 Greece is giving Syrian refugees priority in registration and embarkation for the mainland, over other nationalities such as Afghans and Pakistanis. Germany – which expects to see as many as 800,000 migrants arriving this year - is also looking at differentiating between refugee groups. It seeks to prioritize people from war-torn countries such as Syria, Iraq or Afghanistan, and the roughly 40 percent of asylum applicants who come from the Balkan nations. 1900GMT: Is Europe’s migrant crisis humanitarian or political?